Today marks the beginning of a new baseball season as the Chicago Cubs get set to defend their World Series title. It brings back many fond memories of playing baseball here in Snooks Harbour, “over on the garden” by Mack Baileys. Most all the young people would play, boys and girls together and regardless of age. The bats were usually homemade, although there may have been a couple of bought ones too over the years. I made my own bat and I remember that Dennis would always have a nice homemade bat. Baseball gloves were rare. I had a glove but most did not. I loved that first glove and looking back on it I must have caught a million balls with that thing. Randy bought a catcher’s mitt and that one seemed huge to me at the time. He probably still has it. As for balls we always played with a sponge one. 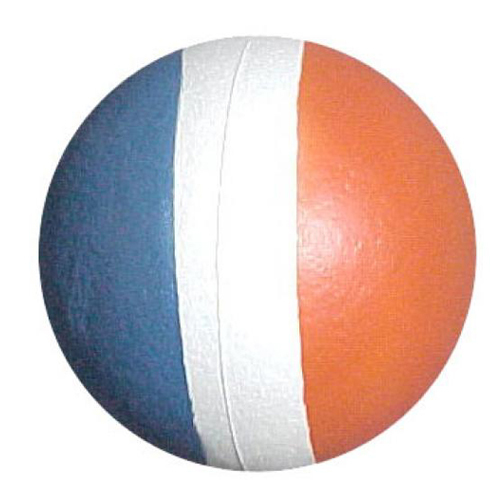 The red, white and blue balls were popular. I would pick a ball out of the bin at the Chain Store or the old drug store, or Dad would get one for me. 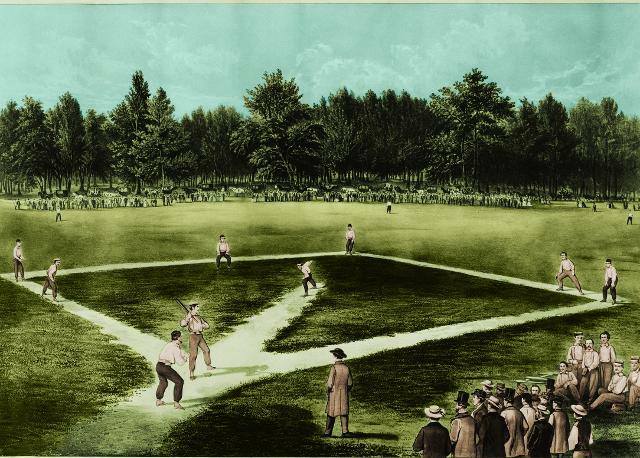 In many ways our style of play was quite different from the Major League game. There was no such thing as having too many players as everyone would take to the field. When it came to hitting, every player on the team would bat during each inning and every player had to get out before the other team batted! Like i said not many had gloves, so an out could be made by letting the ball bounce once as well as catching it in the air. But the most popular way of getting an out was to pick up the ball and throw it at the runner! If you could hit him with the ball before he reached base he was out. This proved to be a little painful for the runner at times, lol. Of course you could also chase down the base runner and tag him with the ball in hand. Since everyone had to get out, the last remaining batter had a decision to make. If he went past first base he would have to try to get all the way around. The other thing he could do was just touch first base and run back to home plate. Needless to say it was hard to stay alive on a slow dribbler back to the pitcher! By the way we always pitched the ball underhand. The ball would quite often end up in the salt water and we would throw rocks in a frantic attempt to splash the ball back to shore. If unsuccessful we would have to get another ball or wait and hope that the ball would drift in to the nearby mead, which it often did if the wind was right. Many balls were also lost in and around the brook as there was lots of alders, weeds, tall grass and foamy water. Usually these balls were lost by a right handed hitter making what we referred to as a “cross bat” in which the ball was hit well out of play into extremely foul territory. Craig Baker was famous for this and Dennis Baker and Glenys Baker also hit their share of cross bats. As far as i know there was never a window broken out of Macks house, although hit on several occasions. One time I remember hitting a high fly ball and Gerald George was pulling into the driveway at the exact same time. Just as Gerald was getting out of the car the ball landed on his roof with such a resounding thump, then bounced off and hit the kitchen window. I dont know who got the biggest fright, me or Gerald! Another memory is of Vick Smith singing out to Scott, Derek & Rod to come home for supper. It was quite a distance but somehow her voice carried in such a way that we could hear her. I also remember the time that Rodney Ivany and Sheldon Berkshire got into a fight on the field, but I dont recall why. Then there was the time that Rodney walloped Peter Smith across the knees with the baseball bat. Peter was flicking Rodneys ears and Rodney hit him with a swing that even Babe Ruth would be proud of! But these kind of altercations were rare. We had so much fun playing baseball and it was such a wonderful and rewarding part of growing up. I honestly don’t remember Rodney whacking me in the legs, maybe it was hard enough to make me forget! Great memories! I forgot all about letting the ball bounce once. And I remember the rocks for bases, and yeah how many balls did we lose in the brook! Yeah and there was a scraggly looking tree off to the right, out by the road and we lost lots of balls there too. Except the time we used the hard plastic one and you broke my glasses! I remember Randy would rather throw the ball at you than just tag you!! In retaliation I have confiscated a number of red, blue and white balls with initials RB!!!!!! i remember playing… but not all the game details. i remember rock bases and maybe using a stick for a bat.